Update March 9, 2017: The latest recommended specs for Mass Effect: Andromeda, revealed by Nvidia yesterday, will actually only get you 30fps at 1080p, so you’re going to need a hefty rig to hit 60fps. The recommended specs, as you can see below, ask for a Core i7-4790, 16GB of RAM, and a GTX 1060, however, that’s all based on a 1080p resolution, 30fps, and a High graphics options preset. Welp. These details appeared on EA’s support site yesterday. You’re going to need an absolute monster rig if you’re planning on playing at 4K with a playable frame rate, then. Original Story March 8, 2017: Mass Effect: Andromeda is just around the corner now, so Nvidia have finally released the system requirements. Have you got a Mako or a Nomad? Either way, it seems like you’ll need a pretty beefy setup if you want to see the game at its best. If you want to push it up to 4K or crank up the graphics options, you’ll need to fit your rig with a faster GPU, such as the GeForce GTX 1070, GeForce GTX 1080, or newly-announced GeForce GTX 1080 Ti– get the lowdown on Nvidia’s beastly GPU at that link. It’s also compatible with HDR monitors. 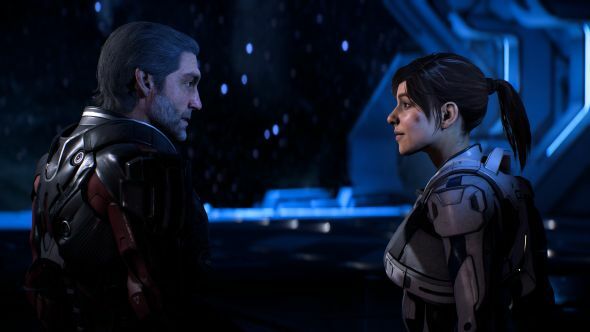 Mass Effect: Andromeda is releasing in North America on March 21 and in Europe on March 23. It’ll be available on Origin.